Over 3 million dollars has been spent on comic books over the past month. The thing is that the 3 million only bought 3 comic books. First a copy of Action Comics #1 sold for a cool million back in February. Not only was this the first comic to reach the million dollar mark, Action Comics #1 was the first appearance of the Man of Steel, Superman. 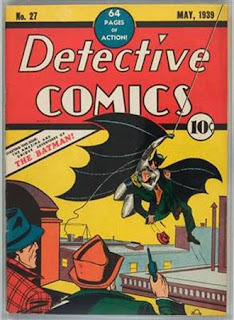 Just three days later a copy of Detective Comics #27, which was the first appearance of Batman in 1939, sold for just over a million at $1.08 million. 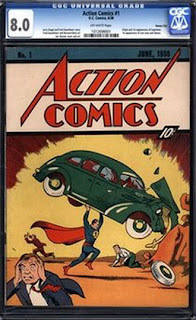 Today Superman packs the old one two again with another issue of Action Comics #1 from 1938 selling for $1.5 million. ComicConnect.com made both sales of the first appearance of Superman today and the one in February. The Batman comic that sold in February was sold at auction. Ed Jaster, vice president of Heritage Auctions said, "This puts the hobby in a much greater light. People now have to think of vintage comics with the same kind of respect that they would with American paintings." Man, I need to make more money. For more comic book news check us out.